X705NC-GC023 Ноутбук ASUS X705NC (X705NC-GC023) 17.3', FullHD (1920 х 1080), IPS, Intel Celeron N3350 (up to 2.4 ГГц), 4 ГБ, 500 ГБ, NVIDIA GeForce GT 810M, 2 ГБ, No ODD, Bluetooth, Wi-Fi, LAN (RJ-45), Endless OS, 3 cell, 2.1 кг, Dark Grey 12 мес. 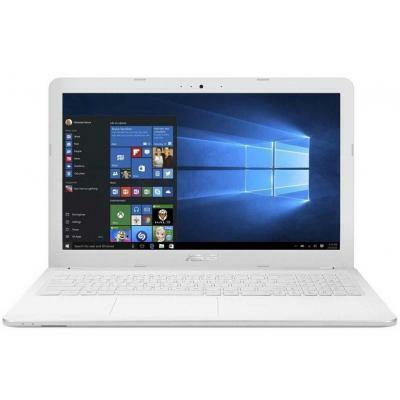 TP202NA-EH008T Ноутбук ASUS TP202NA (TP202NA-EH008T) 11.6', HD (1366 х 768), Intel Celeron N3350 (up to 2.4 ГГц), 4 ГБ, отсутствует, 64 ГБ eMMC, Intel HD Graphics, No ODD, Bluetooth, Wi-Fi, Windows 10, 2 cell, 1.26 кг, Grey 12 мес. 2VP94ES Ноутбук HP 250 G6 (2VP94ES) 15.6', FullHD (1920 х 1080), Intel Celeron N3350 (up to 2.4 ГГц), 8 ГБ, отсутствует, 256 ГБ, Intel HD Graphics, DVD±RW, Bluetooth, Wi-Fi, LAN (RJ-45), DOS, 3 cell, 1.86 кг, Silver 12 мес. 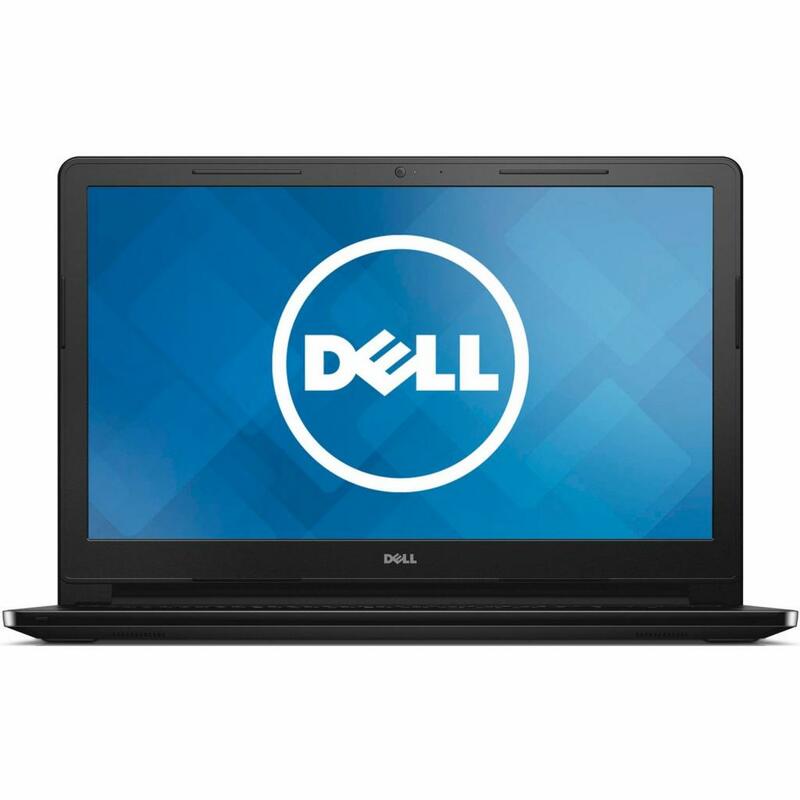 X540NV-GQ007 Ноутбук ASUS X540NV (X540NV-GQ007) 15.6', HD (1366 х 768), Intel Celeron N3450, 4 ГБ, 1 ТБ, NVIDIA GeForce 920MX, 2 ГБ, DVD±RW, Bluetooth, Wi-Fi, Endless OS, 3 cell, 2.0 кг, Chocolate black 12 мес. Z2Z98ES Ноутбук HP 250 G5 (Z2Z98ES) 15.6', FullHD (1920 х 1080), Intel Celeron N3060 (1.6 - 2.48 ГГц), 8 ГБ, отсутствует, 256 ГБ, Intel HD, No ODD, Bluetooth, Wi-Fi, LAN (RJ-45), DOS, 3 cell, 2.0 кг, Black 12 мес. 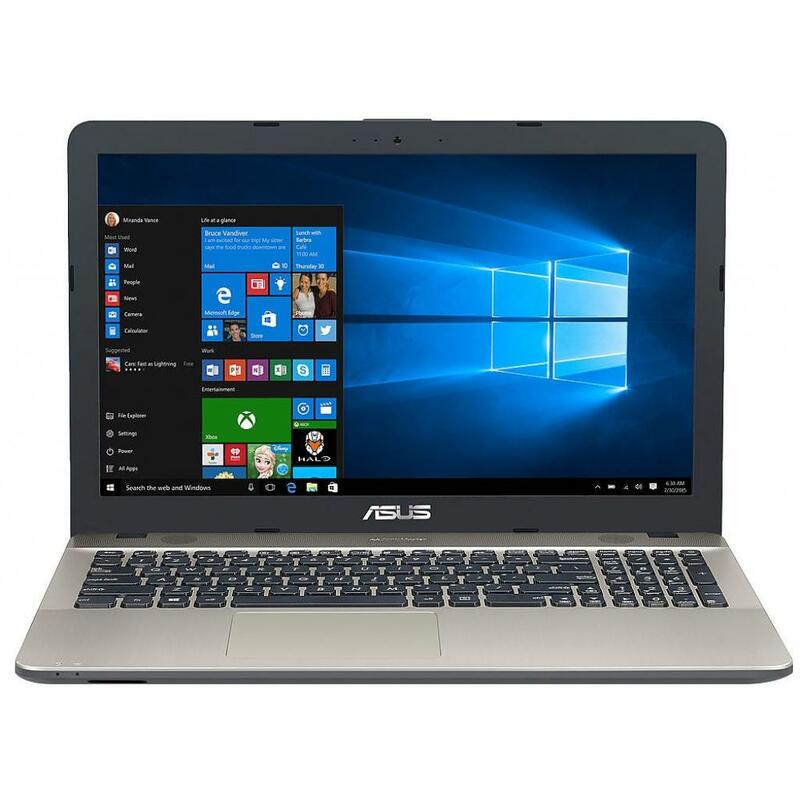 Ноутбук Asus X552CL-SX053D (Intel Celeron 1007U (1.5GHz),4GB DDR3 1600,500GB,DVD-SM,15.6"HD LED,GeForce GT710M 1GB,VGA,HDMI,GLAN,WiFi b/g/n,BT4.0,WC HD,USB3.0,USB2.0,CR2in1,4cell 3000mAH,DOS,2.3kg,White) (X552CL-SX053D) мес. 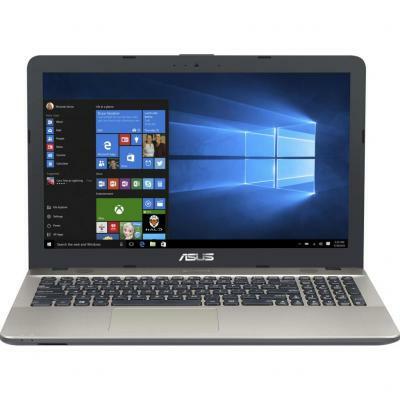 Ноутбук Asus X552CL-XX216D (Intel Celeron 1007U (1.5GHz),4GB DDR3 1600,500GB,DVD-SM,15.6"HD LED,GeForce GT710M 1GB,VGA,HDMI,GLAN,WiFi b/g/n,BT4.0,WC HD,USB3.0,USB2.0,CR2in1,4cell 3000mAH,DOS,2.3kg,Dark Grey) (X552CL-XX216D) мес. 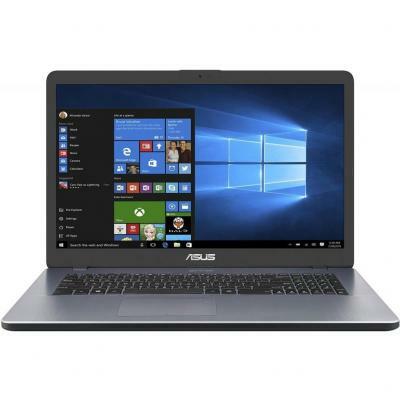 Ноутбук ASUS X550CA Grey (X550CA-XX069D) Intel Celeron 1007U 1.5/4.0 Gb/500Gb/DVD-RW/15.6" HD LED/Intel HD Graphics/LAN/WiFi/BT/WC/CR/DOS/2.3 кг. 24 мес. 80XR01CTRA Ноутбук Lenovo IdeaPad 320-15 (80XR01CTRA) 15.6', HD (1366 х 768), TN+film, Intel Celeron N3350 (up to 2.4 ГГц), 4 ГБ, отсутствует, 256 ГБ, Intel HD Graphics, DUMMY ODD, Bluetooth, Wi-Fi, LAN (RJ-45), DOS, 2 cell, 2.2 кг, Grey 12 мес. 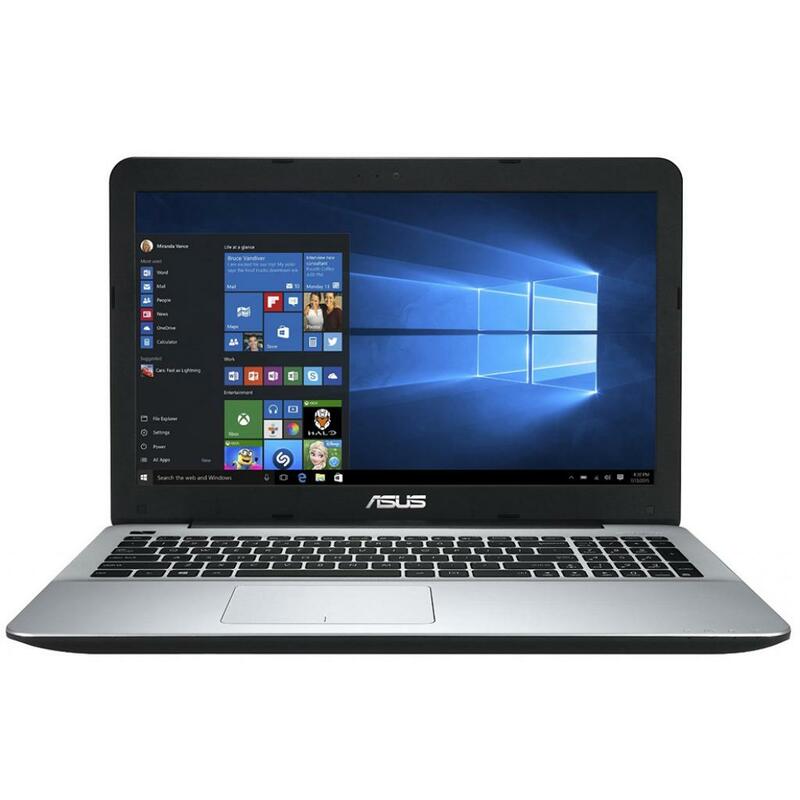 Ноутбук Asus X550CA-XX114D (Intel Celeron 1007U (1.5GHz),4GB DDR3 1600,500GB,DVD-SM,15.6"HD LED,Intel HD GMA,VGA,HDMI,GLAN,WiFi b/g/n,BT4.0,WC HD,2xUSB3.0,USB2.0,CR2in1,4cell 3000mAH,DOS,2.3kg,White) (X550CA-XX114D) мес. 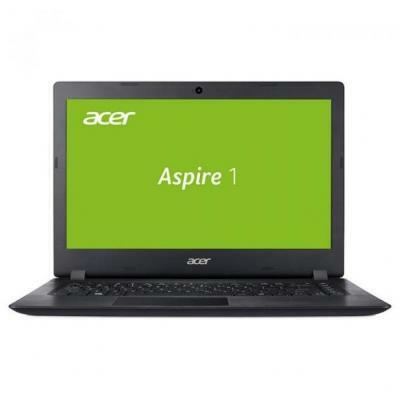 NX.MZSEU.008 Ноутбук Acer Aspire ES1-731-C6ZZ (NX.MZSEU.008) 17.3', HD+ (1600 x 900), TN+film, Intel Celeron N3050 (1.6 ГГц), 4 ГБ, 500 ГБ, Intel HD, No ODD, Bluetooth, Wi-Fi, Gigabit Ethernet, Linux, 3 cell, 3 кг, Black 12 мес. 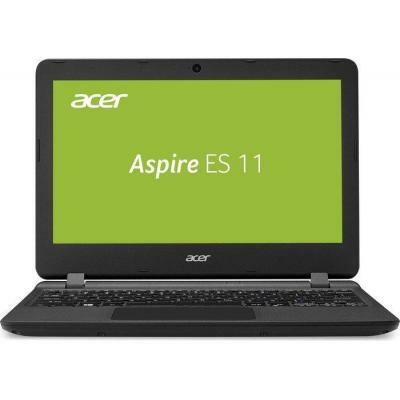 NX.MZSEU.009 Ноутбук Acer Aspire ES1-731-C3A5 (NX.MZSEU.009) 17.3', HD+ (1600 x 900), TN+film, Intel Celeron N3050 (1.6 ГГц), 4 ГБ, 500 ГБ, Intel HD, DVD-SMulti, Bluetooth, Wi-Fi, Gigabit Ethernet, Linpus, 3 cell, 3 кг, Black 12 мес. 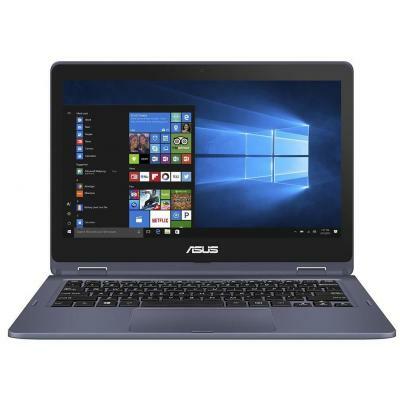 Ноутбук ASUS X550CA Grey (X550CA-XX710D) Intel Celeron 1007U-1.5/2.0 Gb/320Gb/DVD-RW/15.6" HD LED/Intel HD Graphics/LAN/WiFi/BT/WC/CR/DOS/2.3 кг. 24 мес. 80XR00RGRA Ноутбук Lenovo IdeaPad 320-15 (80XR00RGRA) 15.6', HD (1366 х 768), TN+film, Intel Celeron N3350 (up to 2.4 ГГц), 8 ГБ, 1 ТБ, Intel HD Graphics, No ODD, Bluetooth, Wi-Fi, LAN (RJ-45), DOS, 2 cell, 2.2 кг, Black 12 мес. X540NV-GQ006 Ноутбук ASUS X540NV (X540NV-GQ006) 15.6', HD (1366 х 768), Intel Celeron N3350 (up to 2.4 ГГц), 4 ГБ, 500 ГБ, NVIDIA GeForce 920MX, 2 ГБ, No ODD, Bluetooth, Wi-Fi, Endless OS, 3 cell, 2.0 кг, Chocolate black 12 мес. 80TT009URA Ноутбук Lenovo IdeaPad 310-15 (80TT009URA) 15.6', FullHD (1920 х 1080), TN+film, Intel Celeron N3350 (up to 2.4 ГГц), 4 ГБ, отсутствует, 128 ГБ, Intel HD, No ODD, Bluetooth, Wi-Fi, Gigabit Ethernet, DOS, 2 cell, 2.2 кг, Black 12 мес. 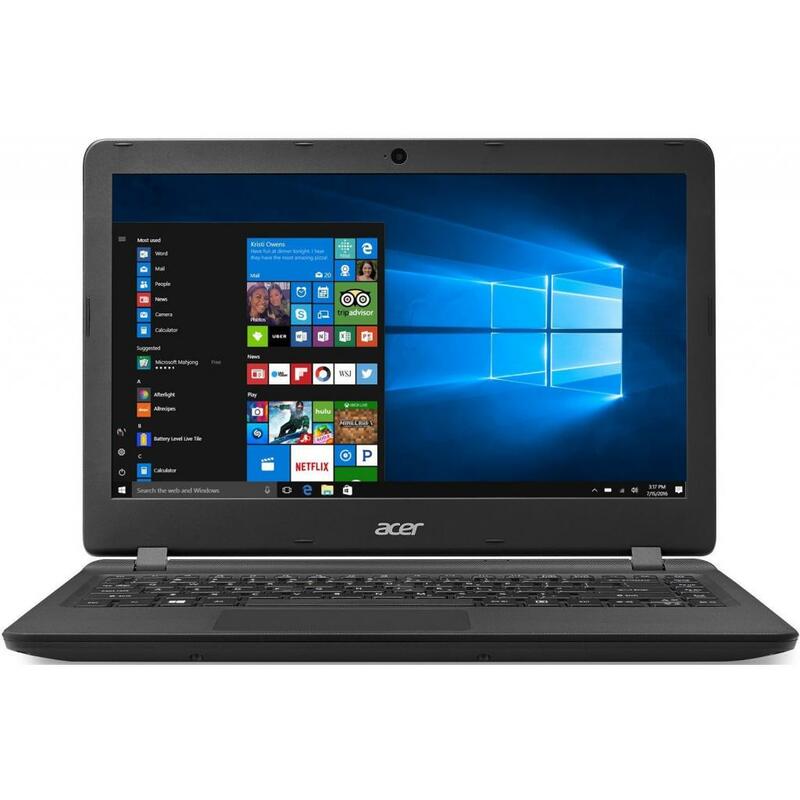 80M300PKRA Ноутбук Lenovo IdeaPad 300-15 (80M300PKRA) 15.6', HD (1366 х 768), TN+film, Intel Celeron N3060 (1.6 - 2.48 ГГц), 4 ГБ, 500 ГБ, NVIDIA GeForce 920M, 1 ГБ, No ODD, Bluetooth, Wi-Fi, LAN (RJ-45), DOS, 4 cell, 2.3 кг, Black 12 мес. 80TT009TRA Ноутбук Lenovo IdeaPad 310-15 (80TT009TRA) 15.6', HD (1366 х 768), TN+film, Intel Celeron N3350 (up to 2.4 ГГц), 4 ГБ, отсутствует, 128 ГБ, Intel HD, No ODD, Bluetooth, Wi-Fi, Gigabit Ethernet, DOS, 2 cell, 2.2 кг, Black 12 мес. 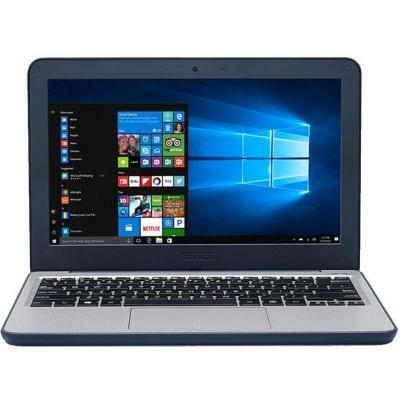 Ноутбук Asus X551CA-SX021D (Intel Celeron 1007U (1.5GHz),2GB DDR3 1600,500GB,DVD-SM,15.6"HD LED,Intel HD Graphics,VGA,HDMI,GLAN,WiFi b/g/n,BT4.0,WC HD,USB3.0,USB2.0,CR2in1,4cell 2600mAH,DOS,2.15kg,Black) (X551CA-SX021D) мес. Lenovo IdeaPad B590A Black (59-381385) 15.6" HD LED/Celeron 1005M/2GB/500GB/Intel HD Graphics/DVD SM/Wi-Fi/BT/WCam/DOS/2.5kg 12 мес. 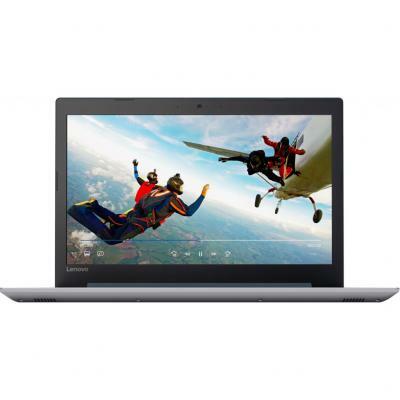 80TT009SRA Ноутбук Lenovo IdeaPad 310-15 (80TT009SRA) 15.6', FullHD (1920 х 1080), TN+film, Intel Celeron N3350 (up to 2.4 ГГц), 4 ГБ, 500 ГБ, Intel HD, No ODD, Bluetooth, Wi-Fi, Gigabit Ethernet, DOS, 2 cell, 2.2 кг, Black 12 мес. 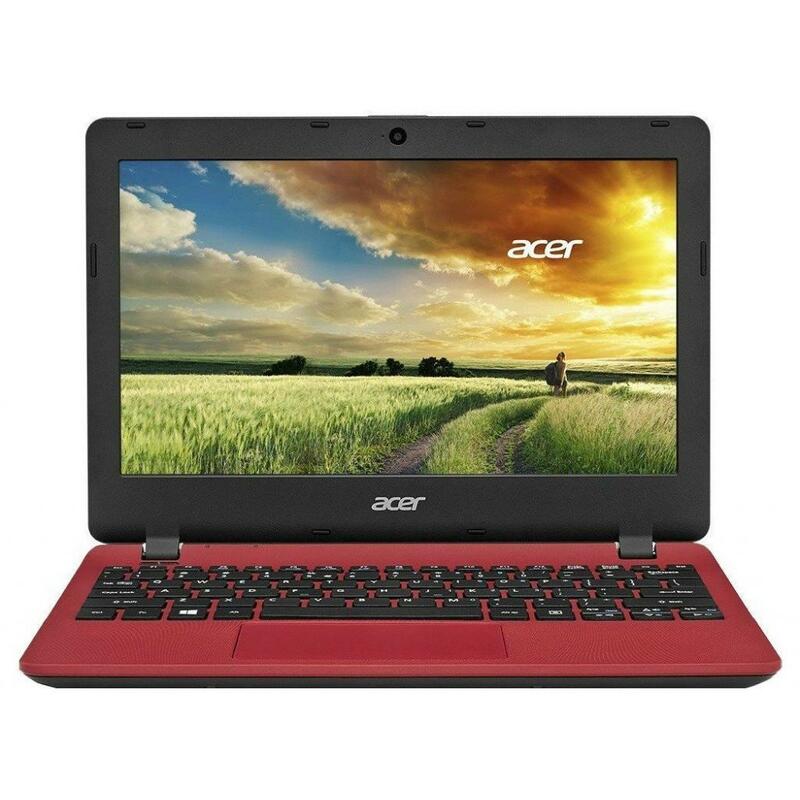 X541NC-GO022 Ноутбук ASUS X541NC (X541NC-GO022) 15.6', HD (1366 х 768), Intel Celeron N3450, 4 ГБ, 1 ТБ, NVIDIA GeForce GT 810M, 2 ГБ, DVD±RW, Bluetooth, Wi-Fi, LAN (RJ-45), Endless OS, 3 cell, 2.0 кг, Chocolate black 12 мес. 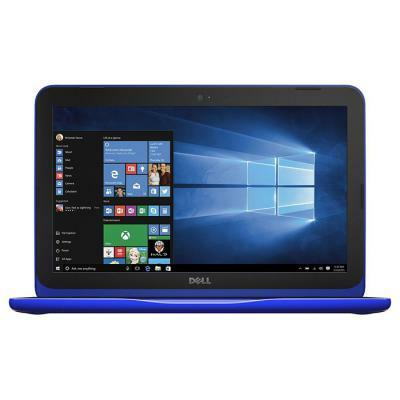 X541NC-GO027 Ноутбук ASUS X541NC (X541NC-GO027) 15.6', HD (1366 х 768), Intel Celeron N3450, 4 ГБ, 1 ТБ, NVIDIA GeForce GT 810M, 2 ГБ, DVD±RW, Bluetooth, Wi-Fi, LAN (RJ-45), Endless OS, 3 cell, 2.0 кг, White 12 мес. 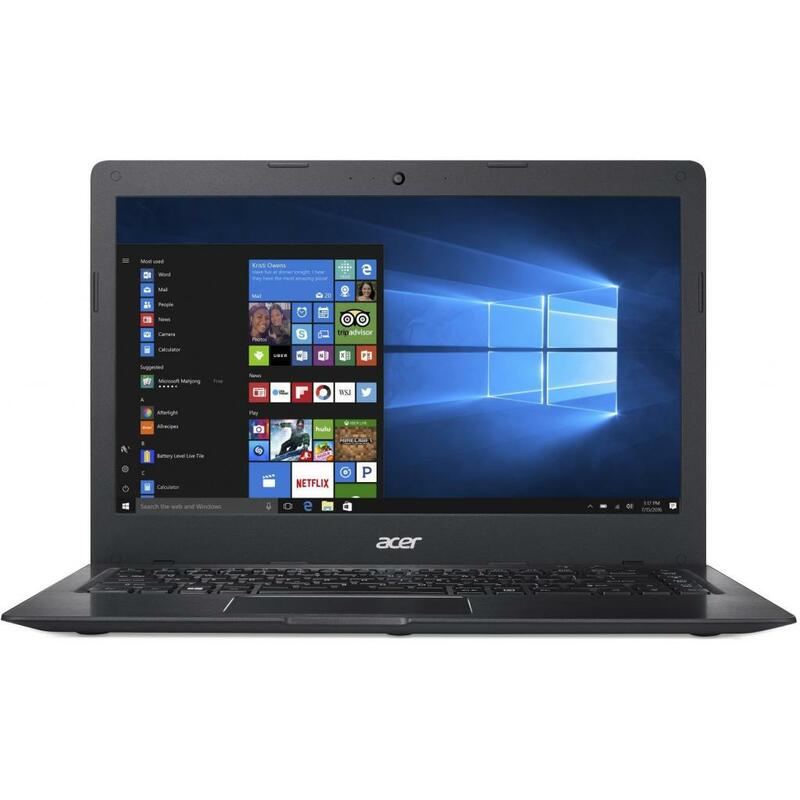 Ноутбук ASUS X200CA Black (X200CA-KX003) Intel Celeron 1007U-1.5/2.0 Gb/320Gb/11.6" HD LED/Intel HD Graphics/WiFi/BT/WC/CR/без ОС/1.3 кг 24 мес. 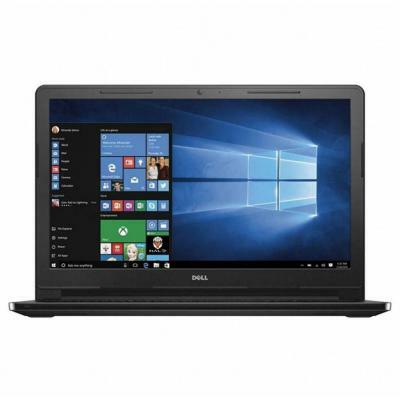 3DN65ES Ноутбук HP 250 G6 (3DN65ES) 15.6', HD (1366 х 768), Intel Celeron N3350 (up to 2.4 ГГц), 4 ГБ, отсутствует, 128 ГБ, Intel HD Graphics, No ODD, Bluetooth, Wi-Fi, LAN (RJ-45), DOS, 3 cell, 1.86 кг, Black 12 мес. 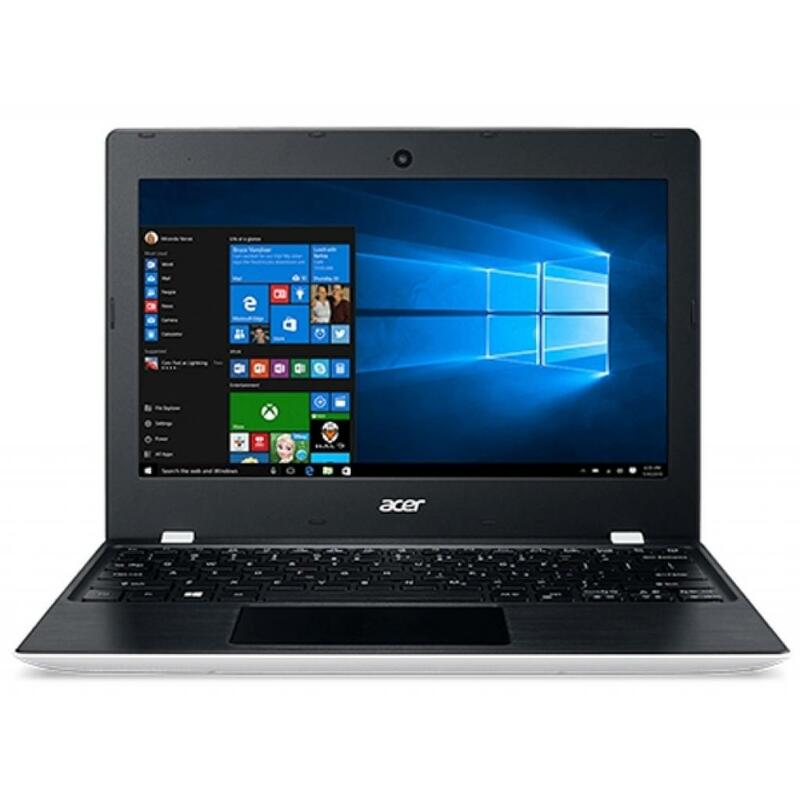 Ноутбук ACER AS E1-532-29552G50Mnkk (NX.MFVEU.004) Intel Celeron 2955U-1.4/2.0 Gb/500Gb/DVD-RW/15.6" HD LED/Intel HD Graphics/LAN/WiFi/BT/WC/CR/Linux/2.4кг. 12 мес. 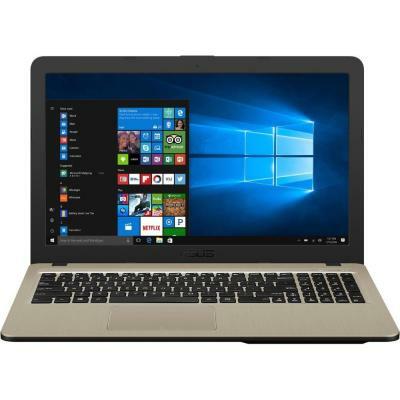 Ноутбук Asus X551CA-SX073D (Intel Celeron 1007U (1.5GHz),2GB DDR3 1600,320GB,DVD-SM,15.6"HD LED,Intel HD Graphics,VGA,HDMI,GLAN,WiFi b/g/n,BT4.0,WC HD,USB3.0,USB2.0,CR2in1,4cell 2600mAH,DOS,2.15kg,White) (X551CA-SX073D) мес. 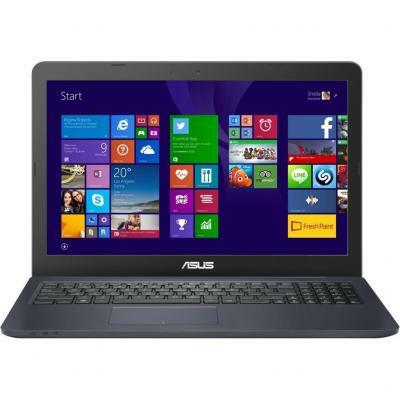 ASUS X551CA-SX018D Black 15.6" HD LED/Celeron 1007U/2GB/320GB/Intel HD Graphics/DVD SM/Wi-Fi/BT/WCam/DOS/2.15kg 12 мес. 80TT009YRA Ноутбук Lenovo IdeaPad 310-15 (80TT009YRA) 15.6', HD (1366 х 768), TN+film, Intel Celeron N3350 (up to 2.4 ГГц), 4 ГБ, 1 ТБ, Intel HD, No ODD, Bluetooth, Wi-Fi, Gigabit Ethernet, DOS, 2 cell, 2.2 кг, Violet 12 мес. 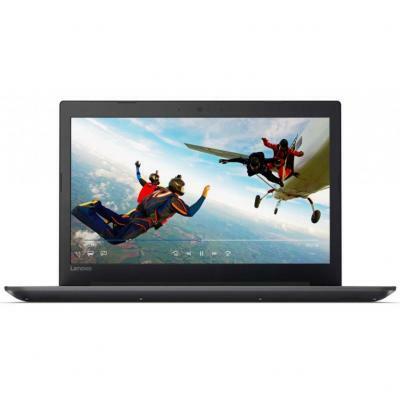 80TT009XRA Ноутбук Lenovo IdeaPad 310-15 (80TT009XRA) 15.6', HD (1366 х 768), TN+film, Intel Celeron N3350 (up to 2.4 ГГц), 4 ГБ, 1 ТБ, Intel HD, No ODD, Bluetooth, Wi-Fi, Gigabit Ethernet, DOS, 2 cell, 2.2 кг, Red 12 мес. 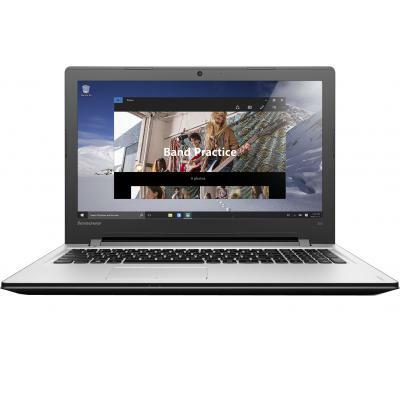 80TT009WRA Ноутбук Lenovo IdeaPad 310-15 (80TT009WRA) 15.6', HD (1366 х 768), TN+film, Intel Celeron N3350 (up to 2.4 ГГц), 4 ГБ, 1 ТБ, Intel HD, No ODD, Bluetooth, Wi-Fi, Gigabit Ethernet, DOS, 2 cell, 2.2 кг, Silver 12 мес. 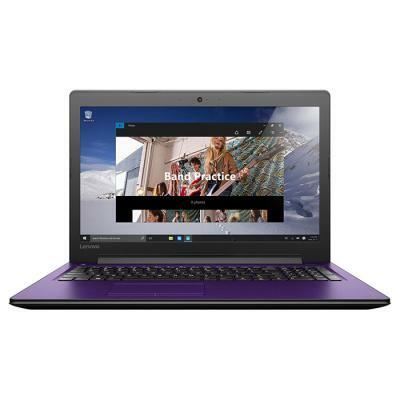 80TT00A0RA Ноутбук Lenovo IdeaPad 310-15 (80TT00A0RA) 15.6', HD (1366 х 768), TN+film, Intel Celeron N3350 (up to 2.4 ГГц), 4 ГБ, 1 ТБ, Intel HD, No ODD, Bluetooth, Wi-Fi, Gigabit Ethernet, DOS, 2 cell, 2.2 кг, White 12 мес. 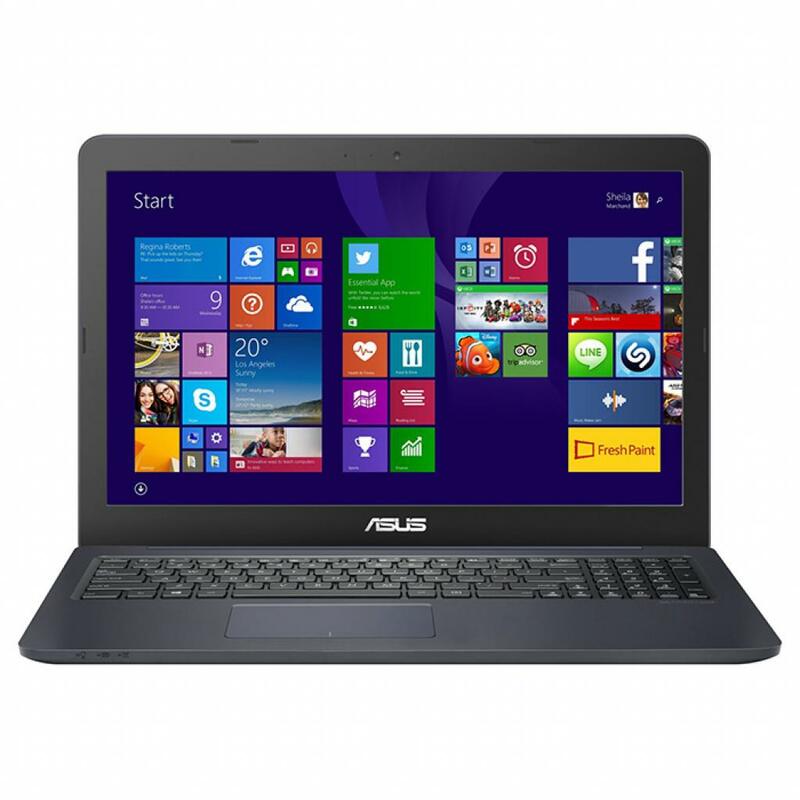 X541SA-XO026D Ноутбук ASUS X541SA (X541SA-XO026D) 15.6', HD (1366 х 768), TN+film, Intel Celeron N3060 (1.6 - 2.48 ГГц), 4 ГБ, 500 ГБ, Intel HD, No ODD, Bluetooth, Wi-Fi, LAN (RJ-45), DOS, 3 cell, 2.0 кг, Silver 12 мес. 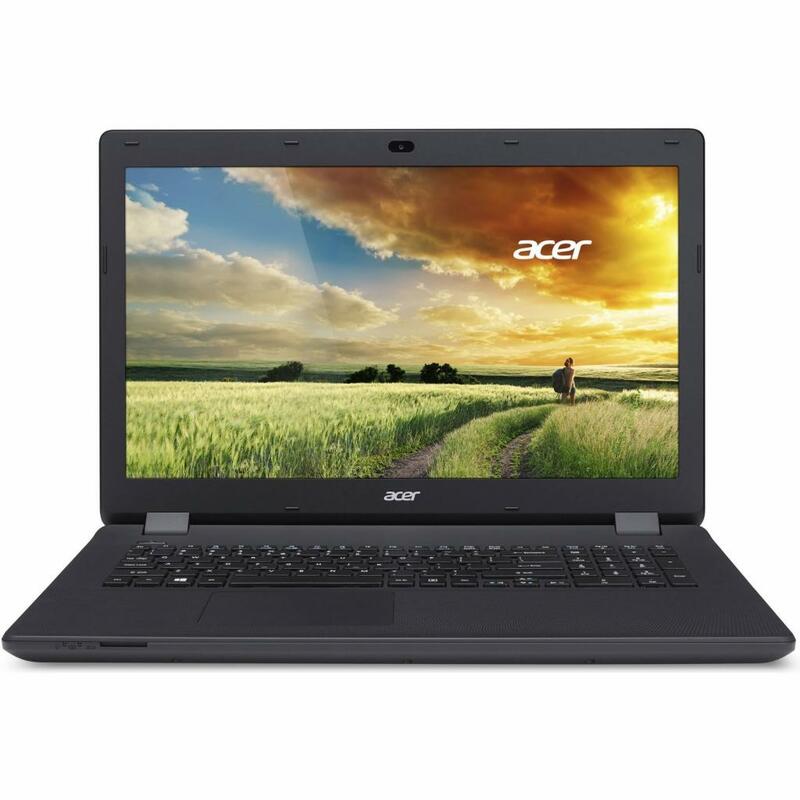 X541SA-XO055D Ноутбук ASUS X541SA (X541SA-XO055D) 15.6', HD (1366 х 768), TN+film, Intel Celeron N3060 (1.6 - 2.48 ГГц), 4 ГБ, 500 ГБ, Intel HD, No ODD, Bluetooth, Wi-Fi, LAN (RJ-45), DOS, 3 cell, 2.0 кг, Black 12 мес. 2HG43ES Ноутбук HP 250 (2HG43ES) 15.6', FullHD (1920 х 1080), Intel Celeron N3060 (1.6 - 2.48 ГГц), 8 ГБ, 1 ТБ, Intel HD Graphics, No ODD, Bluetooth, Wi-Fi, LAN (RJ-45), DOS, 3 cell, 1.9 кг, Dark Silver 12 мес. 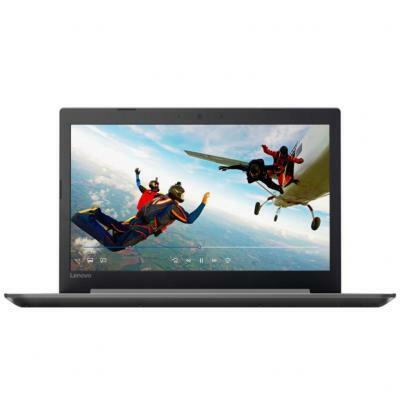 80TT009VRA Ноутбук Lenovo IdeaPad 310-15 (80TT009VRA) 15.6', HD (1366 х 768), TN+film, Intel Celeron N3350 (up to 2.4 ГГц), 4 ГБ, 1 ТБ, Intel HD, No ODD, Bluetooth, Wi-Fi, Gigabit Ethernet, DOS, 2 cell, 2.2 кг, Black 12 мес. 2SX61EA Ноутбук HP 250 G6 (2SX61EA) 15.6', HD (1366 х 768), Intel Celeron N3350 (up to 2.4 ГГц), 4 ГБ, 1 ТБ, Intel HD Graphics, DVD±RW, Bluetooth, Wi-Fi, LAN (RJ-45), DOS, 3 cell, 1.86 кг, Dark Ash Silver 12 мес. 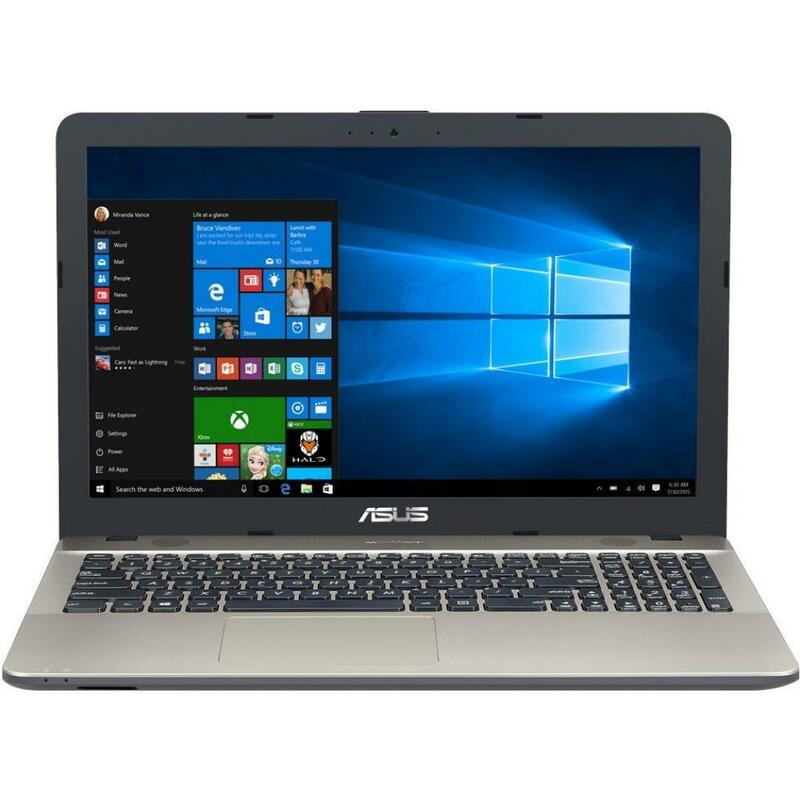 X541SA-XO041D Ноутбук ASUS X541SA (X541SA-XO041D) 15.6', HD (1366 х 768), TN+film, Intel Celeron N3060 (1.6 - 2.48 ГГц), 4 ГБ, 500 ГБ, Intel HD, DVD-SMulti, Bluetooth, Wi-Fi, LAN (RJ-45), DOS, 3 cell, 2.0 кг, Black 12 мес. 80XR00Q0RA Ноутбук Lenovo IdeaPad 320-15 (80XR00Q0RA) 15.6', HD (1366 х 768), TN+film, Intel Celeron N3350 (up to 2.4 ГГц), 4 ГБ, 500 ГБ, Intel HD Graphics, DVD±RW, Bluetooth, Wi-Fi, LAN (RJ-45), DOS, 2 cell, 2.2 кг, Black 12 мес. 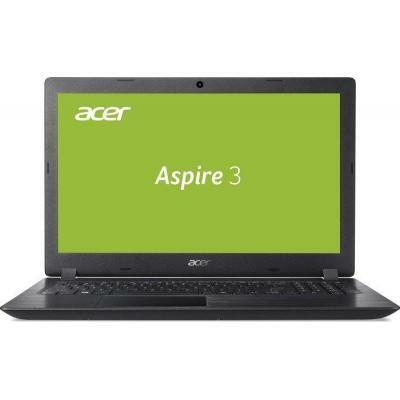 NX.GNTEU.020 Ноутбук Acer Aspire 3 A315-31-C4US (NX.GNTEU.020) 15.6', HD (1366 х 768), Intel Celeron N3350 (up to 2.4 ГГц), 4 ГБ, отсутствует, 128 ГБ, Intel HD Graphics, н.д., Bluetooth, Wi-Fi, LAN (RJ-45), Linux, 4 cell, 2.1 кг, Black 12 мес. 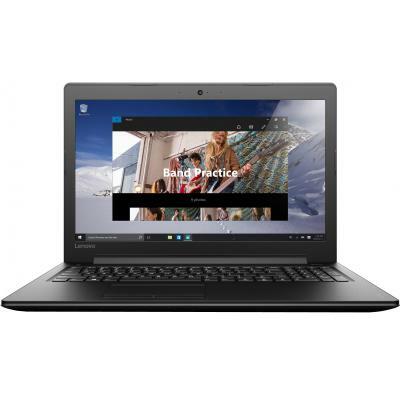 80TT002FRA Ноутбук Lenovo IdeaPad 310-15 (80TT002FRA) 15.6', HD (1366 х 768), TN+film, Intel Celeron N3350 (up to 2.4 ГГц), 4 ГБ, 500 ГБ, Intel HD, No ODD, Bluetooth, Wi-Fi, Gigabit Ethernet, DOS, 2 cell, 2.2 кг, Violet 12 мес. 80XR00QHRA Ноутбук Lenovo IdeaPad 320-15 (80XR00QHRA) 15.6', FullHD (1920 х 1080), TN+film, Intel Celeron N3350 (up to 2.4 ГГц), 4 ГБ, 1 ТБ, Intel HD Graphics, No ODD, Bluetooth, Wi-Fi, LAN (RJ-45), DOS, 2 cell, 2.2 кг, Blue 12 мес. 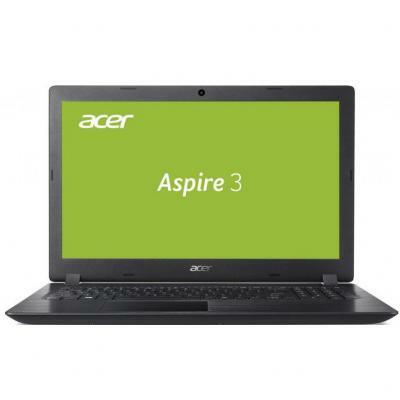 NX.GNTEU.013 Ноутбук Acer Aspire 3 A315-31-C0TV (NX.GNTEU.013) 15.6', HD (1366 х 768), Intel Celeron N3350 (up to 2.4 ГГц), 4 ГБ, 1 ТБ, Intel HD Graphics, No ODD, Bluetooth, Wi-Fi, LAN (RJ-45), Endless OS, 2 cell, 2.1 кг, Black 12 мес. 80XR01B7RA Ноутбук Lenovo IdeaPad 320-15 (80XR01B7RA) 15.6', HD (1366 х 768), TN+film, Intel Celeron N3350 (up to 2.4 ГГц), 4 ГБ, 500 ГБ, AMD Radeon 530, 2 ГБ, No ODD, Bluetooth, Wi-Fi, LAN (RJ-45), DOS, 2 cell, 2.2 кг, Blue 12 мес. 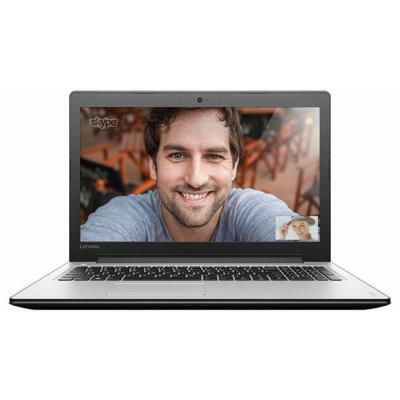 80TT0025RA Ноутбук Lenovo IdeaPad 310-15 (80TT0025RA) 15.6', HD (1366 х 768), TN+film, Intel Celeron N3350 (up to 2.4 ГГц), 4 ГБ, 500 ГБ, Intel HD, No ODD, Bluetooth, Wi-Fi, Gigabit Ethernet, DOS, 2 cell, 2.2 кг, Red 12 мес. 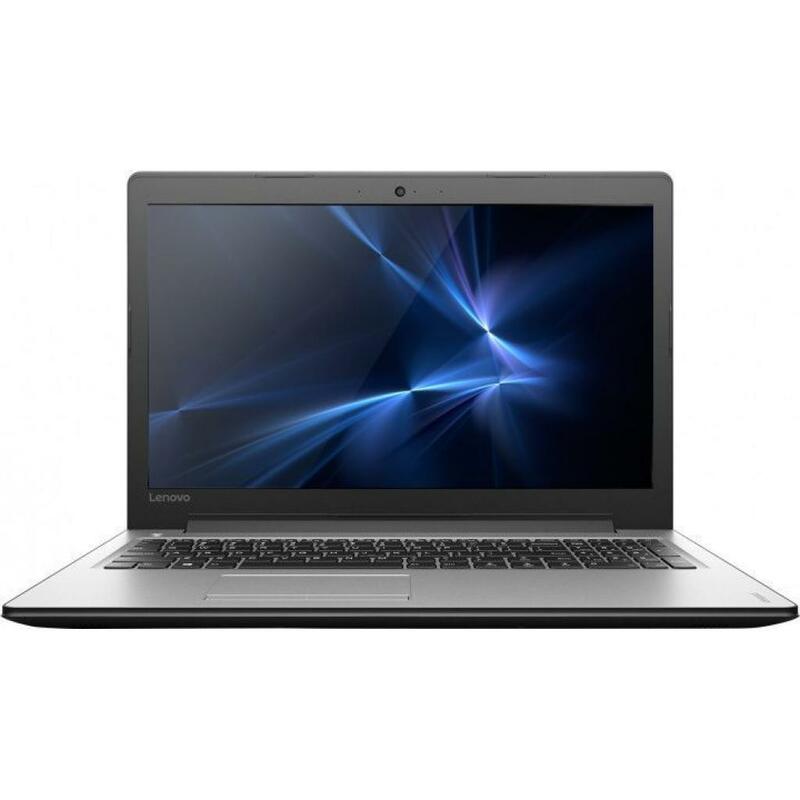 80XR01B6RA Ноутбук Lenovo IdeaPad 320-15 (80XR01B6RA) 15.6', HD (1366 х 768), TN+film, Intel Celeron N3350 (up to 2.4 ГГц), 4 ГБ, 500 ГБ, AMD Radeon 530, 2 ГБ, No ODD, Bluetooth, Wi-Fi, LAN (RJ-45), DOS, 2 cell, 2.2 кг, Black 12 мес. 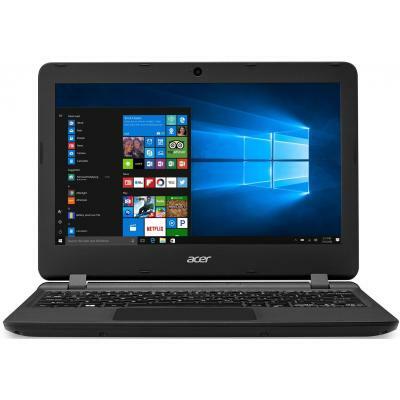 80XR015BRA Ноутбук Lenovo IdeaPad 320-15 (80XR015BRA) 15.6', HD (1366 х 768), TN+film, Intel Celeron N3350 (up to 2.4 ГГц), 4 ГБ, 500 ГБ, AMD Radeon 530, 2 ГБ, No ODD, Bluetooth, Wi-Fi, LAN (RJ-45), DOS, 2 cell, 2.2 кг, Grey 12 мес. 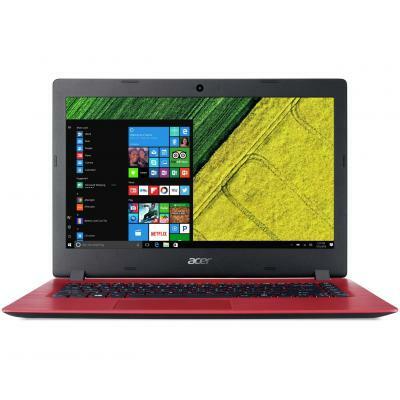 X540NA-GQ007 Ноутбук ASUS X540NA (X540NA-GQ007) 15.6', HD (1366 х 768), Intel Celeron N3350 (up to 2.4 ГГц), 4 ГБ, 500 ГБ, Intel HD Graphics, DVD±RW, Bluetooth, Wi-Fi, Endless OS, 3 cell, 2.0 кг, Chocolate black 12 мес. 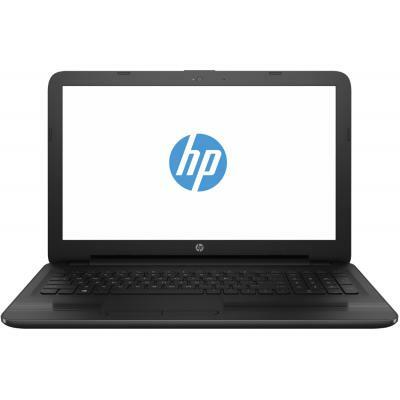 Z3G01EA Ноутбук HP 15-ay530ur (Z3G01EA) 15.6', HD (1366 х 768), Intel Celeron N3060 (1.6 - 2.48 ГГц), 4 ГБ, 1 ТБ, Intel HD, DVD±RW, Bluetooth, Wi-Fi, LAN (RJ-45), DOS, 4 cell, 2.0 кг, Black 12 мес. 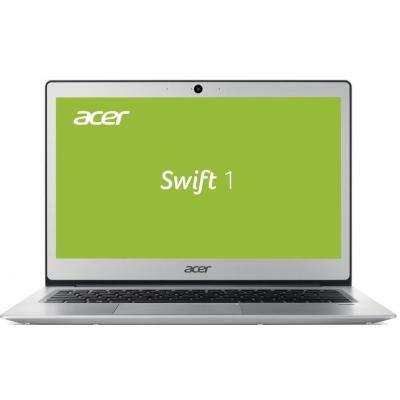 NX.GNTEU.007 Ноутбук Acer Aspire 3 A315-31 (NX.GNTEU.007) 15.6', HD (1366 х 768), Intel Celeron N3350 (up to 2.4 ГГц), 4 ГБ, 500 ГБ, Intel HD Graphics, No ODD, Bluetooth, Wi-Fi, LAN (RJ-45), Linux, 2 cell, 2.3 кг, Black 12 мес. 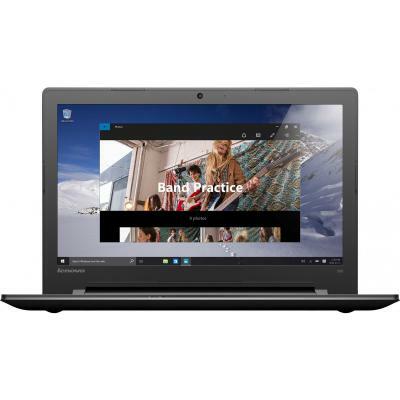 80TT001WRA Ноутбук Lenovo IdeaPad 310-15 (80TT001WRA) 15.6', HD (1366 х 768), TN+film, Intel Celeron N3350 (up to 2.4 ГГц), 4 ГБ, 500 ГБ, Intel HD, No ODD, Bluetooth, Wi-Fi, Gigabit Ethernet, DOS, 2 cell, 2.2 кг, Silver 12 мес. 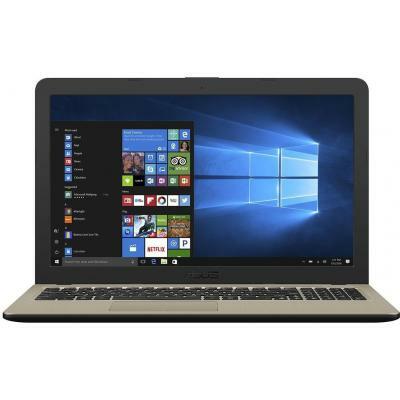 80TT002ARA Ноутбук Lenovo IdeaPad 310-15 (80TT002ARA) 15.6', HD (1366 х 768), TN+film, Intel Celeron N3350 (up to 2.4 ГГц), 4 ГБ, 500 ГБ, Intel HD, No ODD, Bluetooth, Wi-Fi, Gigabit Ethernet, DOS, 2 cell, 2.2 кг, White 12 мес. W4M62EA Ноутбук HP 250 (W4M62EA) 15.6', HD (1366 х 768), TN+film, Intel Celeron N3060 (1.6 - 2.48 ГГц), 4 ГБ, 1 ТБ, Intel HD, DVD-SMulti, Bluetooth, Wi-Fi, Gigabit Ethernet, DOS, 3 cell, 1.96 кг, Black 12 мес. 80XR00PURA Ноутбук Lenovo IdeaPad 320-15 (80XR00PURA) 15.6', HD (1366 х 768), TN+film, Intel Celeron N3350 (up to 2.4 ГГц), 4 ГБ, отсутствует, 128 ГБ, Intel HD Graphics, No ODD, Bluetooth, Wi-Fi, LAN (RJ-45), DOS, 2 cell, 2.2 кг, Black 12 мес. 1WY40EA Ноутбук HP 250 G6 (1WY40EA) 15.6', HD (1366 х 768), Intel Celeron N3060 (1.6 - 2.48 ГГц), 4 ГБ, отсутствует, 128 ГБ, Intel HD Graphics, DVD±RW, Bluetooth, Wi-Fi, Gigabit Ethernet, DOS, 3 cell, 1.86 кг, Dark Ash Silver 12 мес. 80TG00CDRA Ноутбук Lenovo V110 (80TG00CDRA) 15.6', HD (1366 х 768), TN+film, Intel Celeron N3350 (up to 2.4 ГГц), 4 ГБ, 500 ГБ, Intel HD Graphics, DVD±RW, Bluetooth, Wi-Fi, Gigabit Ethernet, DOS, 3 cell, 1.9 кг, Black 12 мес. NX.SHPEU.003 Ноутбук Acer Aspire AO1-132-C9HZ (NX.SHPEU.003) 11.6', HD (1366 х 768), TN+film, Intel Celeron N3050 (1.6 ГГц), 2 ГБ, отсутствует, 32 ГБ eMMC, Intel HD, No ODD, Bluetooth, Wi-Fi, Windows 10 Home, 3 cell, 1.1 кг, White 12 мес. 80XR00P9RA Ноутбук Lenovo IdeaPad 320-15 (80XR00P9RA) 15.6', HD (1366 х 768), TN+film, Intel Celeron N3350 (up to 2.4 ГГц), 4 ГБ, 500 ГБ, Intel HD Graphics, No ODD, Bluetooth, Wi-Fi, LAN (RJ-45), DOS, 2 cell, 2.2 кг, Purple 12 мес. 80XR00PARA Ноутбук Lenovo IdeaPad 320-15 (80XR00PARA) 15.6', HD (1366 х 768), TN+film, Intel Celeron N3350 (up to 2.4 ГГц), 4 ГБ, 500 ГБ, Intel HD Graphics, No ODD, Bluetooth, Wi-Fi, LAN (RJ-45), DOS, 2 cell, 2.2 кг, Blue 12 мес. 1WY50EA Ноутбук HP 250 G6 (1WY50EA) 15.6', HD (1366 х 768), Intel Celeron N3060 (1.6 - 2.48 ГГц), 4 ГБ, 1 ТБ, Intel HD Graphics, DVD±RW, Bluetooth, Wi-Fi, LAN (RJ-45), DOS, 3 cell, 1.86 кг, Dark Ash Silver 12 мес. 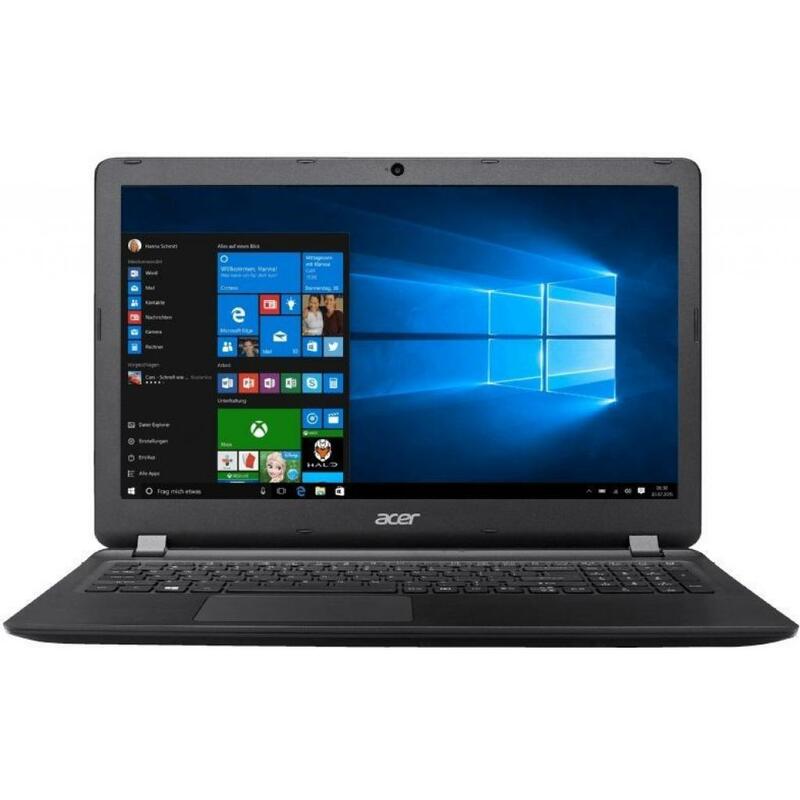 NX.GR5EU.003 Ноутбук Acer Aspire 3 A315-31 (NX.GR5EU.003) 15.6', HD (1366 х 768), Intel Celeron N3350 (up to 2.4 ГГц), 4 ГБ, 500 ГБ, Intel HD Graphics, No ODD, Bluetooth, Wi-Fi, LAN (RJ-45), Linux, 2 cell, 2.3 кг, Red 12 мес. 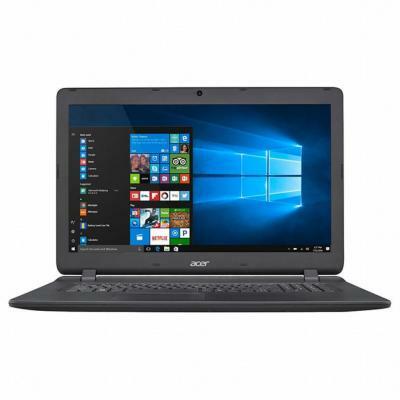 NX.GR4EU.005 Ноутбук Acer Aspire 3 A315-31 (NX.GR4EU.005) 15.6', HD (1366 х 768), Intel Celeron N3350 (up to 2.4 ГГц), 4 ГБ, 500 ГБ, Intel HD Graphics, No ODD, Bluetooth, Wi-Fi, LAN (RJ-45), Linux, 2 cell, 2.3 кг, Blue 12 мес. 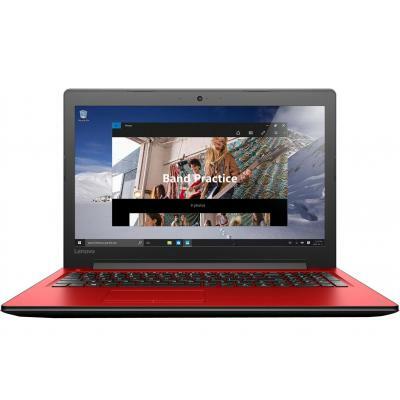 80XR00QCRA Ноутбук Lenovo IdeaPad 320-15 (80XR00QCRA) 15.6', HD (1366 х 768), TN+film, Intel Celeron N3450, 4 ГБ, 1 ТБ, Intel HD Graphics, No ODD, Bluetooth, Wi-Fi, LAN (RJ-45), DOS, 2 cell, 2.2 кг, Black 12 мес. 80XR00PYRA Ноутбук Lenovo IdeaPad 320-15 (80XR00PYRA) 15.6', HD (1366 х 768), TN+film, Intel Celeron N3350 (up to 2.4 ГГц), 4 ГБ, 1 ТБ, Intel HD Graphics, No ODD, Bluetooth, Wi-Fi, LAN (RJ-45), DOS, 2 cell, 2.2 кг, Black 12 мес. 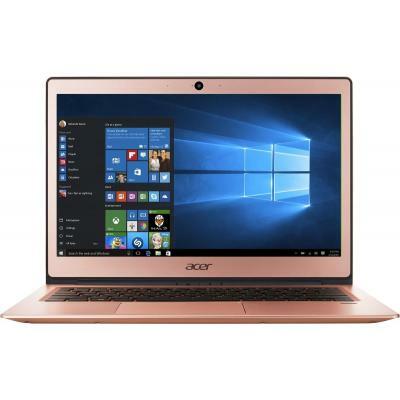 80XR00QJRA Ноутбук Lenovo IdeaPad 320-15 (80XR00QJRA) 15.6', FullHD (1920 х 1080), TN+film, Intel Celeron N3350 (up to 2.4 ГГц), 4 ГБ, 1 ТБ, Intel HD Graphics, No ODD, Bluetooth, Wi-Fi, LAN (RJ-45), DOS, 2 cell, 2.2 кг, Grey 12 мес. 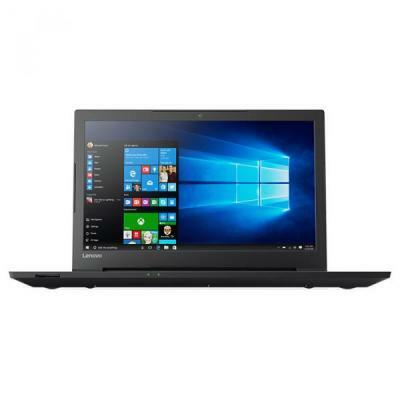 80XR00Q2RA Ноутбук Lenovo IdeaPad 320-15 (80XR00Q2RA) 15.6', HD (1366 х 768), TN+film, Intel Celeron N3350 (up to 2.4 ГГц), 4 ГБ, 500 ГБ, Intel HD Graphics, DVD±RW, Bluetooth, Wi-Fi, LAN (RJ-45), DOS, 2 cell, 2.2 кг, Grey 12 мес. 80XR00QKRA Ноутбук Lenovo IdeaPad 320-15 (80XR00QKRA) 15.6', FullHD (1920 х 1080), TN+film, Intel Celeron N3350 (up to 2.4 ГГц), 4 ГБ, 1 ТБ, Intel HD Graphics, No ODD, Bluetooth, Wi-Fi, LAN (RJ-45), DOS, 2 cell, 2.2 кг, Black 12 мес. 80XR00Q3RA Ноутбук Lenovo IdeaPad 320-15 (80XR00Q3RA) 15.6', HD (1366 х 768), TN+film, Intel Celeron N3350 (up to 2.4 ГГц), 4 ГБ, 1 ТБ, Intel HD Graphics, No ODD, Bluetooth, Wi-Fi, LAN (RJ-45), DOS, 2 cell, 2.2 кг, White 12 мес. 80XR00Q6RA Ноутбук Lenovo IdeaPad 320-15 (80XR00Q6RA) 15.6', HD (1366 х 768), TN+film, Intel Celeron N3350 (up to 2.4 ГГц), 4 ГБ, 1 ТБ, Intel HD Graphics, No ODD, Bluetooth, Wi-Fi, LAN (RJ-45), DOS, 2 cell, 2.2 кг, Blue 12 мес. 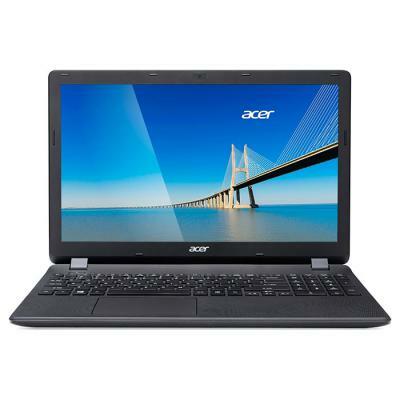 X541NC-GO021 Ноутбук ASUS X541NC (X541NC-GO021) 15.6', HD (1366 х 768), Intel Celeron N3350 (up to 2.4 ГГц), 4 ГБ, 500 ГБ, NVIDIA GeForce GT 810M, 2 ГБ, No ODD, Bluetooth, Wi-Fi, LAN (RJ-45), Endless OS, 3 cell, 2.0 кг, Chocolate black 12 мес. 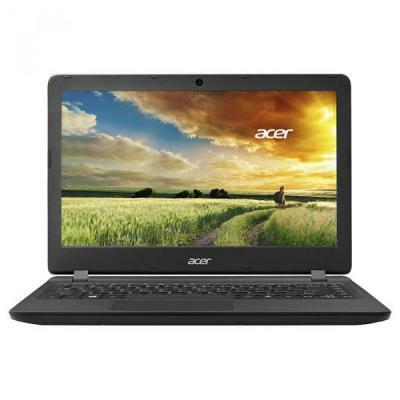 X541NC-GO032 Ноутбук ASUS X541NC (X541NC-GO032) 15.6', HD (1366 х 768), Intel Celeron N3350 (up to 2.4 ГГц), 4 ГБ, 500 ГБ, NVIDIA GeForce GT 810M, 2 ГБ, No ODD, Bluetooth, Wi-Fi, LAN (RJ-45), Endless OS, 3 cell, 2.0 кг, Silver 12 мес. 80XR01B8RA Ноутбук Lenovo IdeaPad 320-15 (80XR01B8RA) 15.6', HD (1366 х 768), TN+film, Intel Celeron N3350 (up to 2.4 ГГц), 4 ГБ, 500 ГБ, Intel HD Graphics, No ODD, Bluetooth, Wi-Fi, LAN (RJ-45), DOS, 2 cell, 2.2 кг, Black 12 мес. 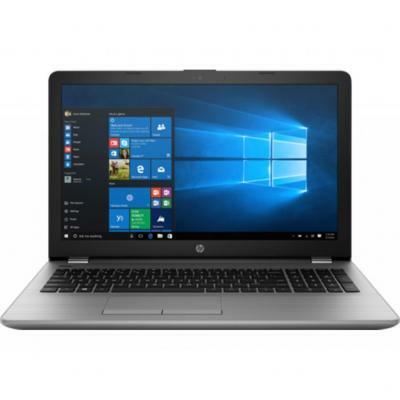 W4M65EA Ноутбук HP 250 (W4M65EA) 15.6', HD (1366 х 768), TN+film, Intel Celeron N3060 (1.6 - 2.48 ГГц), 4 ГБ, 500 ГБ, Intel HD, No ODD, Bluetooth, Wi-Fi, Gigabit Ethernet, DOS, 3 cell, 1.96 кг, Black 12 мес. W9A29EA Ноутбук HP 15-ay006ur (W9A29EA) 15.6', HD (1366 х 768), Intel Celeron N3060 (1.6 - 2.48 ГГц), 4 ГБ, 500 ГБ, Intel HD, No ODD, Bluetooth, Wi-Fi, LAN (RJ-45), DOS, 4 cell, 2.0 кг, Black 12 мес.